Tanzanian-born, Theo is constantly inspired by her humble African roots. She is a fashion designer, world traveler, mother, philanthropist and business woman. From her home-base in Austin, she is breaking ground on the fashion scene with her multicultural collection, Shavanthe, that embraces the essence of her rich African heritage through the use of mixed printed fabrics. Apart from fashion, Theo heartily enjoys the international and multicultural life and contributing her time and talents to countless charitable and philanthropic endeavors. 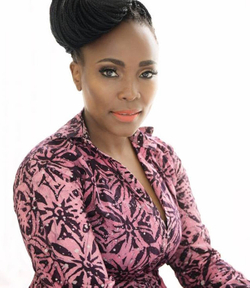 She is a founder of the International Multicultural Community, the African Business and Social Alliance, and the annual International Multicultural Festival in Austin. Theo brings her zest for multicultural life to Well Aware as a Business Development & Strategic Partnership Consultant. Her passion is to connect audiences and brands here with the clean water impact that Well Aware is creating in her home country and region.